The Dominator Platinum Light Bar Upgrade Kit from Corsair is a set of two light bars designed to upgrade two Dominator Platinum memory modules to Corsair signature Arctic White, or Cerulean Blue illumination memory modules. Each kit contains two lenses each, in white and blue so that you can light two Dominator Platinum modules in the same color, or mix them for a multi-hue effect. This way you can personalize and match your system. The upgrade is performed by removing the top bar, inserting a colored lens, and re-attaching the bar. An Allen wrench is included. 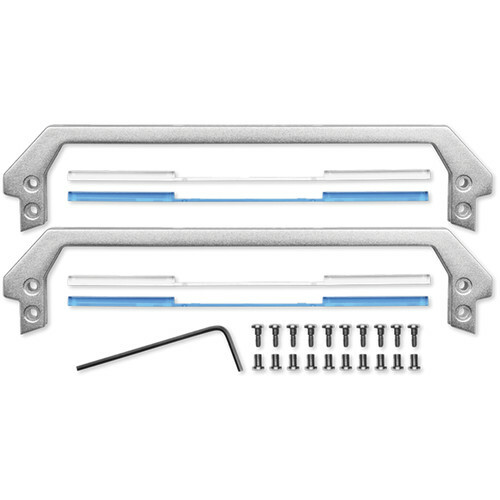 Box Dimensions (LxWxH) 6.5 x 6.4 x 0.6"
Dominator Platinum Light Bar Upgrade Kit is rated 5.0 out of 5 by 2. Delivery times depend on the destination. It takes 1-3 business days in the contiguous US.